Fatima Rivera is Client Services Specilist in WIDA’s Client Services Center. She assists administrators and teachers by providing information and answering questions about the assessment process for ELL students. Fatima is the new customer support for the South Region, however, she can assist administrators and educators from all across the WIDA consortium. 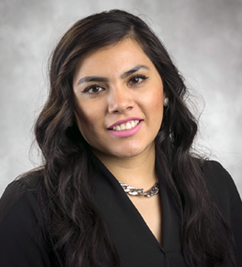 Fatima graduated from Edgewood College with a bachelor’s degree in sociology and a concentration in human services.